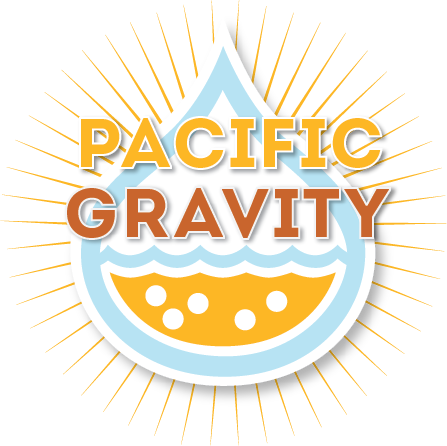 Smog City Brewing Company and its Brewmaster, PG’s Jon Porter, will be hosting their Fourth Pacific Gravity Monster Brew! Jon Porter and Carl Townsend are developing a base wort that is sure to allow for maximum creativity. Consider this your blank slate. For the hop heads, boost up the bitterness with your favorite English or American hop tea to make an awesome IPA, or darken it up with roasted malts to make a porter or stout. Use your imagination to make the most awesome beer ever. Each person will need to pitch a yeast of their choice, add adjuncts to the wort, dry hop in secondary, or do nothing special to it at all. The cost will be $30 for each 5 gallons of wort. Everybody will be guaranteed 1 batch, and if mash volume permits, a second or third batch. Please sign up as soon as you can, by dropping an email to [email protected]. Pacific Gravity members have exclusive sign up until February 10th. After that, we will open it up to all comers. If possible, please pay in advance. You can drop off a check (make out to “Pacific Gravity Homebrewers Club”) at Culver City Homebrew Supply. Make sure to mark it as “Monster Brew Payment”. We will accept payment at the Monster Brew; cash, check and credit card will be accepted. Bring a sanitized PLASTIC or STAINLESS STEEL fermenters for each 5-gallon batch you purchase. Absolutely NO GLASS fermenters will be allowed in the brewery due to the risk of breakage. You may bring small glass vessels with yeast or other additions, however. Fermenters must have a wide opening for the filling nozzle. Plastic buckets are ideal, but Cornelius kegs are acceptable. Again, please do not bring any skinny-neck containers; we may not be able to fill it. If there is wort left over at the end we will hold a lottery to determine who may get an additional 5 gallon allotment. Bring an extra fermenter if you are interested. Yeast and any additional ingredients you wish to add to your wort are not included. You can bring your yeast to the brewery, or pitch it at home. The tap room will be opening to the public at 11am. Smog City will have coffee and other breakfast items in the morning. In addition Porter will be supplying tasting samples of some of his fine brews during the mid morning. Cut off time for free pours will be determined by Porter. Probably close to 11am, after that beer will be available for purchase. REMEMBER TO TIP YOUR BEERTENDER!!! We will be serving a special lunch during the pour. Details to follow. Check out this post from 2016 for ideas on modifying your Monster Wort.